There has been a huge fashion focus on the neckline: one shoulder, off the shoulder, cold shoulder, etc. The neckline is a great way to modernize your wardrobe and give a different look to classic pieces. This is a great time to invest in a piece that is on trend but not overly trendy to pair with all of your favorite wardrobe staples including your hottest denim. 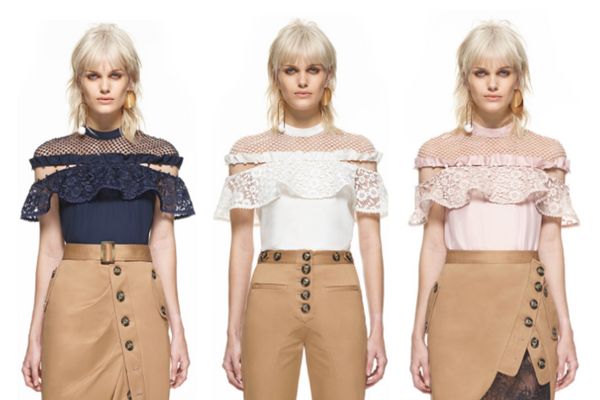 There is an absolutely amazing designer called Self-Portrait doing some of the most beautifully constructed tops, especially the necklines. I am so incredibly impressed by Self-Portrait’s cuts, fabrics, unique layering, and design. This London-based company debuted in 2013 and has been the buzz of the fashion community ever since. Here are some of my absolute favorites from their collection. 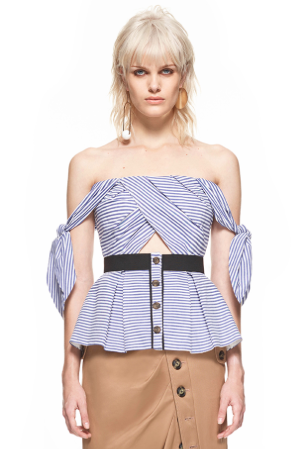 If you are looking for one statement top this summer, any of the above will do. And the Self-Portrait dresses are equally awesome!